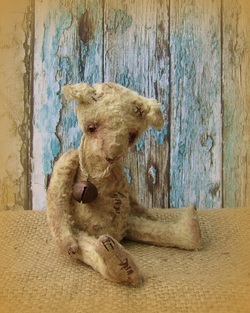 My bears are made from 100% mohair, silk or viscose and the occasional faux fur! 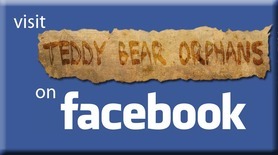 and so are classed as miniature bears. I design all the bears and patterns for them, so they are One Of a Kind (ooak), artist bears. They have English or German hand blown, wired, glass eyes and some have whites using lace that my Grandmother made. The bears are filled with clean steel punchings and some polyfibre stuffing. These are collectors' bears, created using materials and traditional components that make them unsuitable as children's toys. 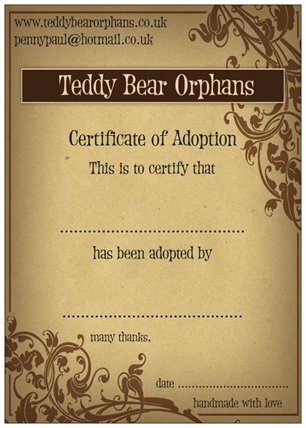 I name all my bears, and every one arrives with a signed and dated certificate. just click on the blue button above. I hope you enjoy looking at my creations.